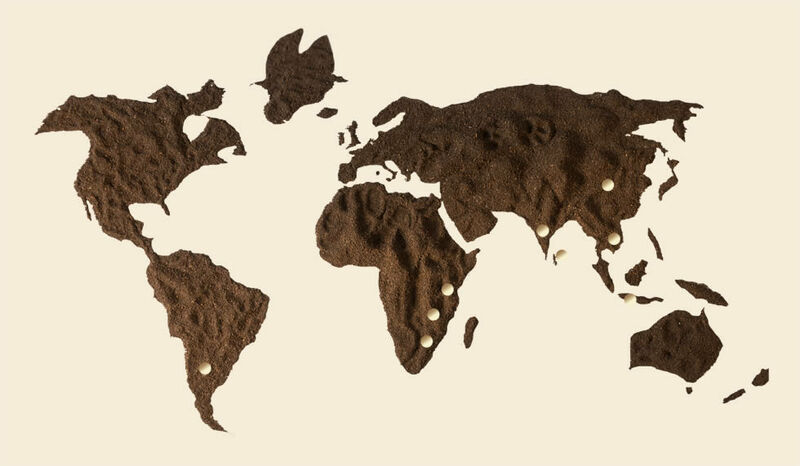 We source our tea leaves from many different countries across the world, working only with growers and suppliers we trust. We can trace our leaves from plant to bag, guaranteeing only the best and most consistant quality of product to our customers. Blended to perfection by our experts we offer 5 in house blends, a Rainforest Alliance Blend and a Fairtrade Blend, which all guarantee a refreshingly refined cup with every brew. We offer a range of packaging options for our tea, from 1 cup to tagged and enveloped and all catering packs can be produced in own label packaging. Should you wish to discuss your requirements with us, please get in touch. The Argentine regions with the largest concentration of tea cultivation are the highlands of the Misiones and Corrientes provinces in northeastern Argentina, where the climate is hot and humid. Argentine tea is primarily used for blending, specifically in Europe and the UK. India has a range of tea flavors thanks to its diverse geography. The main tea-producing regions of India are Darjeeling and Assam. Generally speaking, Darjeeling teas tend to be orthodox teas with complex flavors and aromas and Assams tend to be bolder and tannic. Zimbabwe tea is black tea that is used mostly for blending. It has a full flavor and brews to a colorful liquor. Most Zimbabwe tea is grown in the eastern part of the country. The two main tea-growing regions are the Honde Valley and Chipinge which is situated in the south east. Tea from Sri Lanka falls into three categories: low-grown, medium grown and high grown. Each level produces teas of unique character. By blending teas from different areas of the island, Sri Lanka can offer a very wide range of flavour and colour. Some are full-bodied, others light and delicate, but all blends have brisk full flavours and bright golden colour. Tea has been part of the way of life in Indonesia for more than 200 years. Teas from Indonesia are light and flavoursome and account for over 7% of world exports. One of the oldest of the African producers, Kenya has a history of tea dating back to 1903, when tea seeds from India were first planted on a two acre farm. Kenya's equatorial climate allows tea growing all year round. The teas are very bright, colourful, with a reddish coppery tint and a pleasant brisk flavor. Malawi is the pioneer of tea growing in Africa, with production first starting commercially in the 1880s in Mulanje. Although Malawi teas are not so well known as speciality teas, their superb colour and brightness means they are used in the blending of British tea brands. Vietnamese teas are produced in many areas that have been known for tea-house "retreats". Some are located amidst the immense tea forests of the Lamdong highlands, where there are the world's oldest trees, dating back 1000 years. Vietnamese teas have been largely unknown outside of mainland Asia until the present day. Known as the birthplace of tea, for hundreds of years China produced the only teas known to the western world. The most famous teas, come from the hills in north Fujian. It is a unique large leaf tea distinguished by its smoky aroma and flavour. The tarry taste is acquired through drying over pine wood fires.